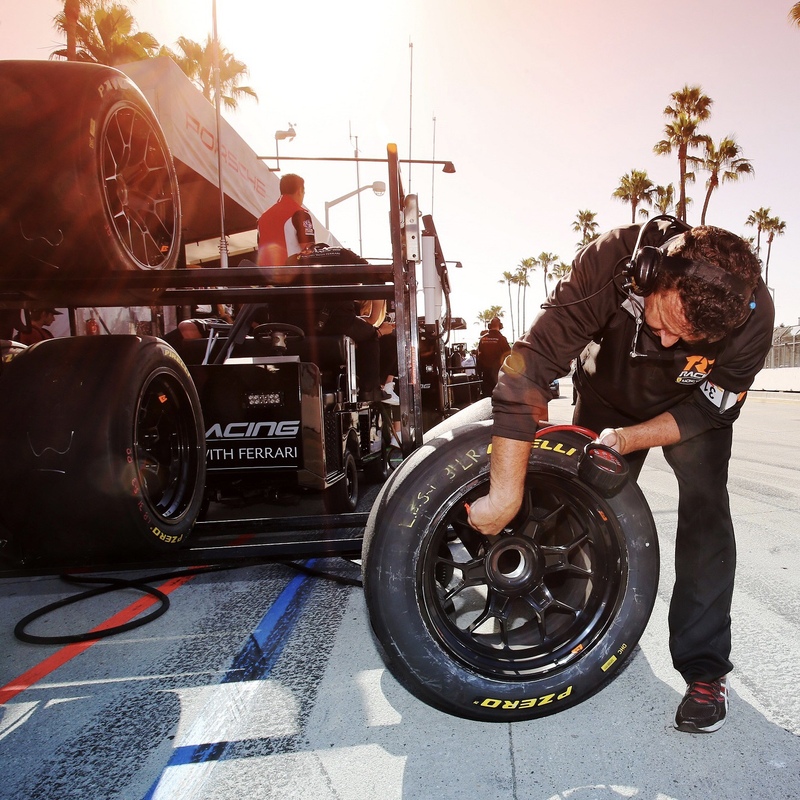 Pirelli is involved in 10 major championships at the forefront of American motorsport, with 40 Pirelli personnel committed to a variety of races and rallies every weekend, supplying tens of thousands of tires. This is the scale of Pirelli’s competition involvement this year in North America, with a motorsport history that stretches back from more than 110 years but has never been more relevant. Motorsport in fact represents an essential part of the Italian firm’s research and development program, as an open-air testing laboratory. This is why Pirelli places such an emphasis on motorsport in every global territory, as it’s only by pushing the extremes of performance on track that the best Ultra High Performance tires are created for the road. As announced recently, Pirelli USA has renewed its agreement with Porsche Club of America for the next three years, enhancing its backing further with the addition of the Werks Reunion Amelia Island, which Pirelli will support alongside the five national programs: PCA Club Racing, PCA High Performance Driver Education (HPDE), PCA Autocross, Porsche Parade, and PCA Treffen. Pirelli will not only supply tires, but also trackside support. In a new venture with Porsche enthusiasts for 2019, Pirelli will now also support the Air-Cooled Cup USA for two years. This championship is for Porsche models from pre-1966 to 1998, and features seven rounds starting in April at Portland International Raceway in Oregon. But there are also many long-standing associations that have been renewed. The Trans Am Series has been an iconic name in American motorsport since its inception in 1966 and Pirelli has been the headline sponsor since 2017. The 2019 season will mark the start of a five-year extension, taking the partnership through to 2025. There will be 12 races for the 2019 season, and Pirelli will once again be at the forefront of each event, providing tires and support. Similarly, Pirelli has equipped the Intercontinental GT Challenge since 2014 and will continue to do so for the coming years. In this championship, Pirelli provides its renowned P Zero slick tires for a grid made of a variety of different high-performance prestige brands. The 2019 championship starts in February with the Liqui-Moly Bathurst 12 Hours in Australia and visits the United States one month later when it comes to the stunning Laguna Seca track in California, for the California 8 Hours. Key parts of the Pirelli USA program are also the P Zero-equipped single-make championships from Ferrari (Ferrari Challenge) and Lamborghini (Lamborghini Super Trofeo), which have become iconic fixtures on the American motorsport calendar. Pirelli’s motorsport activities in North America are centered beyond the USA. The Challenge Xtreme Elite series in Canada is a rally series that Pirelli has supported for three years and will continue to do so for another three: underlining Pirelli’s heritage in off-road motorsport as well as on circuits. The first event is in February in Quebec, where competitors will face heavy snow and subzero temperatures. In Mexico, Pirelli is supporting the grass roots of motorsport with the Formula 4 series: designed as an introduction to single-seater racing cars for the champions of the future, running on P Zero tires. These are just some of the championships that Pirelli will support in North America throughout 2019, setting new standards of performance, style and professionalism. Pirelli was founded in 1872 and has its headquarters in Milan, Italy. Pirelli focuses its business on the high end, premium product segment where it is a world leader. Pirelli has a commercial presence in over 160 countries, and 19 factories in 13 countries. Successfully competing in motorsports since 1907, Pirelli is currently the exclusive supplier to the Formula 1 championship, the Superbike World Championship, and many other championships around the world. This entry was posted in Auto and tagged 2019 championship, 360 Magazine, Air-Cooled Cup USA, American motorsport, Australia, California, Canada, Challenge Xtreme Elite, Ferrari, Ferrari Challenge, Formula 1 championship, Formula 4 series, Global Society, Intercontinental GT Challenge, Italian global territory, Italy, Laguna seca, Lamborghini, Lamborghini Super Trofeo, Liqui-Moly Bathurst, Mexico, Milan, Modular Integrated Robotized System, Motorsport, North america, Oregon, P Zero slick tires, PCA Autocross, PCA Club Racing, PCA High Performance Driver Education, PCA Treffen, pirelli, Pirelli Tire North America, Pirelli USA, pop culture, porsche club of America, Porsche models, Porsche Parade, Portland International Raceway, Quebec, races, rallies, rally series, Rebecca Kang, Superbike world championship, Trans Am Series, Ultra High Performance tires, Vaughn Lowery, Werks Reunion Amelia Island on January 29, 2019 by wp360mag. Six era-defining sports cars, six of their racing variants, and six competition tires that were built especially for them: the story of the Ferrari Challenge covers 26 years and some of the most important models ever to come from Maranello, whose competition variants have made up Ferrari’s celebrated one-make series. This is territory that Pirelli knows well, having been the exclusive tire supplier to the Ferrari Challenge ever since the championship made its debut. This presented an important opportunity for Pirelli to study new concepts in extreme conditions – as is always the case in motorsport, among eager gentlemen drivers – but based on road-going cars, with the same characteristics and dynamics. The Ferrari Challenge was born in 1993 and since then more than 1000 drivers have taken part. The number of tires used has been simply incalculable. This is also because the Ferrari Challenge has expanded from the European series to Asia and the United States: a whole world of gentlemen drivers, each at the wheel of a Ferrari equipped with Pirelli tires. The very first car that got the one-make series underway was the Ferrari 348 Challenge. It was derived from the 1989 348 TB and TS, carrying over the road car’s 3.5-liter V8 engine that put out 320 horsepower. Compared to the road-going version, the 348 Challenge car wasn’t extensively modified, but it did wear slick tires that were especially developed by Pirelli. The very first Ferrari Challenge tire was a 17-inch slick with different sizes at front and rear (245/620-17 and 265/640-17 respectively). Just like the car, the tires also had a strong link with their road-going equivalents: to make them, Pirelli used the normal P Zero moulds, but with a specific construction and compounds. The 348 drove its last races in 1996, alongside the new 355 Challenge car. This was also a direct descendant of its road-going equivalent, including the 380-horsepower engine that was identical to the road car. The safety devices needed for competition and bespoke Pirelli tires made it different though. The Italian firm made its first 18-inch tires for Ferrari’s one-make series: a size that would remain for more than 10 years. In 2000, the third car to be used on the Ferrari Challenge made its debut: the 360 Challenge, which was based on the 360 Modena. It had the same power as the road car (400 horsepower) but less weight. The 360 Challenge car underwent some important modifications the following year, with increased 415 horsepower. The tires were required to perform better as well, but the generation of Pirelli tires that was born with the 355 was still more than capable of responding to the demands of cars and drivers, which meant that only new tire sizes and compounds were introduced. The 430 Challenge marked an important new step for the one-make series: while it put out the same 490 horsepower of the road car, it was adapted thanks also to the lessons that Ferrari had learned in Formula 1. For example, it boasted the first carbon ceramic braking system of any Ferrari competition car, so the tires also needed some important modifications. The first 19-inch tires were made, both as slicks and wets, but these became ‘full wet’ tires for the first time, with a specific full wet tread pattern. In 2010, the acclaimed Ferrari 458 Italia formed the base of the latest Challenge car, taking to the track with the same 570 horsepower as the road car but weighing 100 kilograms lighter and with specific engine mapping and a competition exhaust. There was also an electronic rear differential that required the tires to work in parallel with it. Pirelli adapted the tire dimensions and compound, while maintaining the same wheel size. Turbocharging came to the Ferrari Challenge in 2016 with the arrival of the 488 Challenge: the first time that a turbo engine had ever been seen on the championship in 25 years. There was a 100-horsepower increase compared to the 458, while the lap time round Fiorano was improved by a second. Pirelli developed new tire sizes for the 488 Challenge to cope with the car’s extra performance. This entry was posted in Uncategorized and tagged 360, 360 Magazine, 360 Modena, auto, breaking system, car safety, cars, competition car, Ferrari, Ferrari 348, Ferrari 348 Challenge, Ferrari Challenge, Finali Mondiali, formula 1, GT Tires, Madison Smushkevich, Motorsport, pirelli, Pirelli tires, racing, road car, Theo Mayer, tires, turbo charging, Vaughn Lowery on November 2, 2018 by wp360mag. The Petersen Automotive Museum will debut its latest exhibit, “Legends of Los Angeles: Southern California Race Cars and Their Builders,” to the media and ticket holders on November 8, 2018. Located in the Charles Nearburg Family Gallery, the display will feature 12 race cars, racing artifacts and 180-degree panoramic video, providing an immersive way to experience a variety of the fastest and most famous cars built in and around Los Angeles. 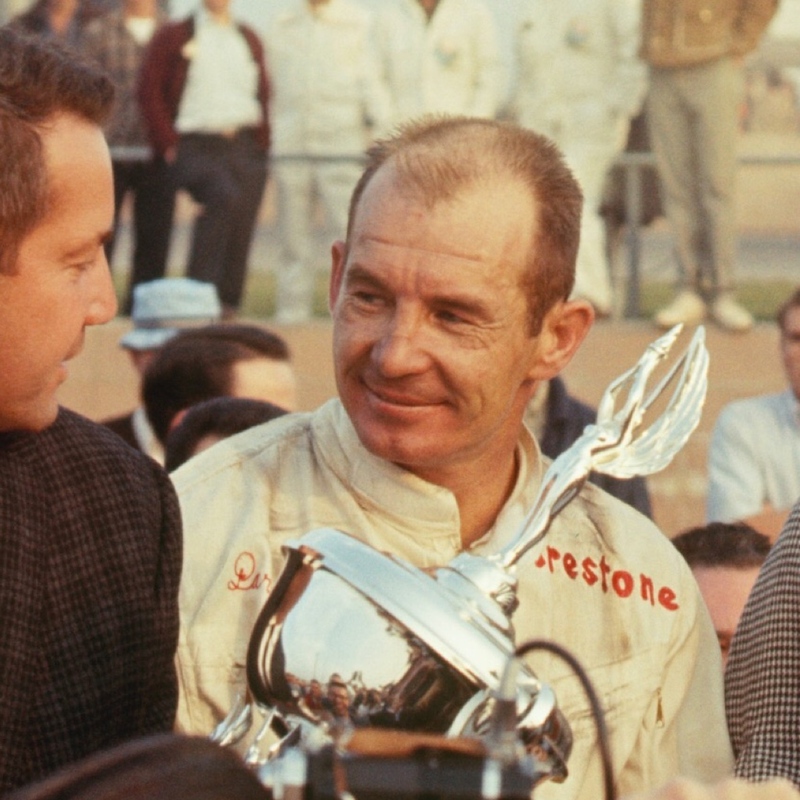 The reception will pay homage to racing icon Parnelli Jones, a motorsports legend known for his exploits in Indy Car, sports car and off-road racing. Southern California’s passion for racing became apparent in the early 1900s. The temperate climate and diverse landscapes provided limitless opportunities for racing. Metropolitan cities became home to large racing venues, dry lake beds became the site of land speed trials, airport runways became drag strips and mountains became off-road courses and hill climbs. Reflecting this diversity, the exhibit will present race cars by the region’s renowned designers and engineers including Fred Offenhauser, Harry Miller, Frank Kurtis and Max Balchowsky. In addition to two racing engines on display, key vehicles will include the 1924 Miller 122, the 1929 Ford 22 Jr. Model A Roadster, the 1963 Ol’Yaller Mark IX, the 1966 AAR Eagle #31 and the 1975 Edmunds Tamale Wagon. Most remembered for his accomplishments at the Indianapolis 500, Jones is often regarded as one of the most versatile racers of all time. He has won nearly every major auto racing event in the United States including six Indy Car wins, four NASCAR wins, 25 sprint car wins and 25 midget car wins. Apart from racing, Jones has operated several successful automotive-related businesses. The preview evening will conclude with an auction featuring signed Jones memorabilia. “Legends of Los Angeles” will officially open to the public on November 10, 2018 and will run through December 1, 2019. To purchase tickets to the opening or learn more about the Petersen Automotive Museum, please visit www.Petersen.org. This entry was posted in Uncategorized and tagged 360, 360 Magazine, art, auto, auto business, auto industry, car model, cars, design, drag racing, Global Society, indy 500, Indy Car, Los Angeles, Motorsport, NASCAR, off-road racing, Parnelli Jones, Petersen Automotive Museum, pop culture, racing, racing exhibit, racing history, racing models, Reid Urban, Southern California, Success, Vaughn Lowery, vintage on October 25, 2018 by wp360mag. Pirelli has signed an agreement with Luna Rossa Challenge for the constitution of a partnership aimed at the development of a multi-year project which will lead to Luna Rossa’s participation in the next edition of the America’s Cup, set for New Zealand in 2021. 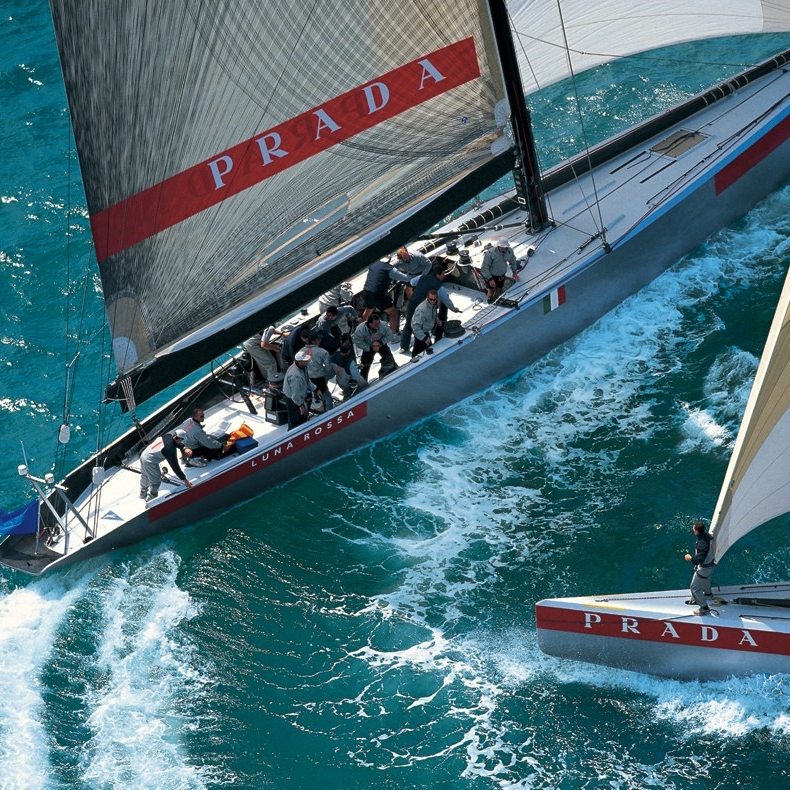 Pirelli and Prada will be co-titled sponsors of the vessel and will detail their plans at a soon to be organized event. Now in its 36th edition, the America’s Cup is the oldest trophy in the history of sport, which sees the participation of the most technologically advanced boats in the world. The project will entail, over the 4-year period 2018-2021, a series of regattas, events and activities with the two brands as protagonists. In 2019, the first two regattas of the America’s Cup World Series will take place in the Mediterranean; in 2020 another three World Series regattas will be held in Europe, the United States of America and Asia; from January 2021, always in Auckland, there will be the Prada Cup, Challenger selection regattas, followed by the 36th edition of the America’s Cup Presented by Prada, scheduled for March 2021. This will be Luna Rossa’s fifth tilt at the Trophy and in this edition it will be the Challenger of Record, that is, the first challenger of the last edition’s winning team, Emirates Team New Zealand. This entry was posted in Auto and tagged 360, 360 Magazine, America, America’s Cup, asia, Atrin Yazdani-Biuki, Auckland, auto, brand, Brands, car, clients, collaboration, company, consumers, digital, Emirates Team, europe, formula 1, Global Society, history, Italy, luxury, Marco Tronchetti Provera, Mediterranean, Motorsport, New Zealand, Patrizio Bertelli, pirelli, Prada, Prada Cup, project, sports, team, technology, tradition, United States, Vaughn Lowery, World Series regattas on August 14, 2018 by wp360mag. Founded in 1906 by racing driver Vincenzo Lancia, the Turin based automaker has cultivated a history of dynamic rally cars, invigorating racing machines, and performance-oriented street vehicles that embody true Italian flair. The first production Lancia automobile was the 28 horsepower Tipo 51 (also known as the 12 HP). After World War I, Lancia began work on the Lambda. The Lambda was a technological marvel at the time, featuring the first production monocoque construction on a road car, as well as the first use of independent suspension on a production car. Building upon the success of the Lambda, Lancia debuted the Aurelia in 1950 in Turin. The Aurelia continued Lancia’s tradition of innovation by utilizing an industry first production V6 engine paired to another groundbreaking innovation, the rear transaxle. The Aurelia would go on to achieve class victories at Le Mans and the Mille Miglia. In conjunction with the street car division, Scuderia Lancia was launched to campaign the all new D24 race car. With legends like Juan Manuel Fangio, Alberto Ascari, and Piero Taruffi behind the wheel, the D24 would claim victory at the Carrera Panamericana, Mille Miglia, and Targa Florio. As Lancia continued to evolve and develop their automobiles, they became legends on world wide rally circuit. Icons like the Fulvia HF, Stratos HF, 037 and Delta would dominate rally racing in the 1970’s and 80’s. 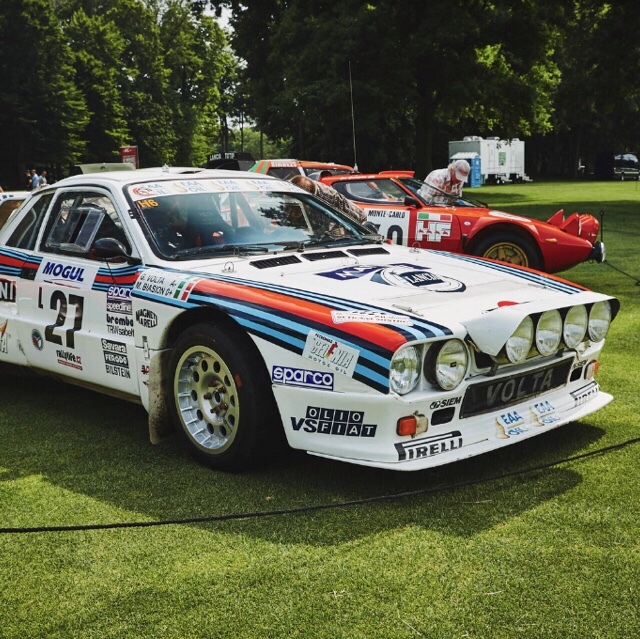 Fine examples of Lancia’s street and racing machines will be showcased on the lawn of The Quail, A Motorsports Gathering this year. Laura Brown, editor-in-chief of Instyle Magazine, will participate in the “Fashion in the Fast Lane” Fireside Chat Panel. After graduating from Charles Sturt University, Brown began traveling around the world to cover the world of fashion. As the editor-in-chief of Instyle Magazine, Brown educates an audience of 30 million people on the latest trends and styles. As one of the leading voices in fashion today, Brown will be joined on stage by Tamara Mellon as they discuss the parallels between fashion and the automotive industry. Tamara Mellon, OBE, founder of Tamara Mellon Brand, will also join the “Fashion in the Fast Lane” Fireside Chat. After being born in London, Mellon would split her time between California and the UK. A passion for style developed into careers at several fashion magazines before becoming an esteemed luxury women’s shoe designer. Mellon acts as co-founder and CCO of her namesake direct-to-consumer label. Guests will enjoy a main dish of spice rubbed salmon with caramelized Meyer lemons grilled on wood slabs over the cast iron cowboy cauldron. This will be accented by marinated fregola sarda, sweet pepper and almond pesto, baby spinach, roasted cauliflower and more. Robb Talbott and the Moto Talbott Motorcycle Museum have become iconic partners of The Quail events and his Talbott Logan Pinot Noir and Sleepy Hollow Chardonnay will be paired with the offerings at the Carmel Valley tent. In addition to the diverse culinary offerings stationed throughout this year’s event, the Carmel Valley culinary tent will play host to a decadent afterparty following. The Quail, A Motorsports Gathering. 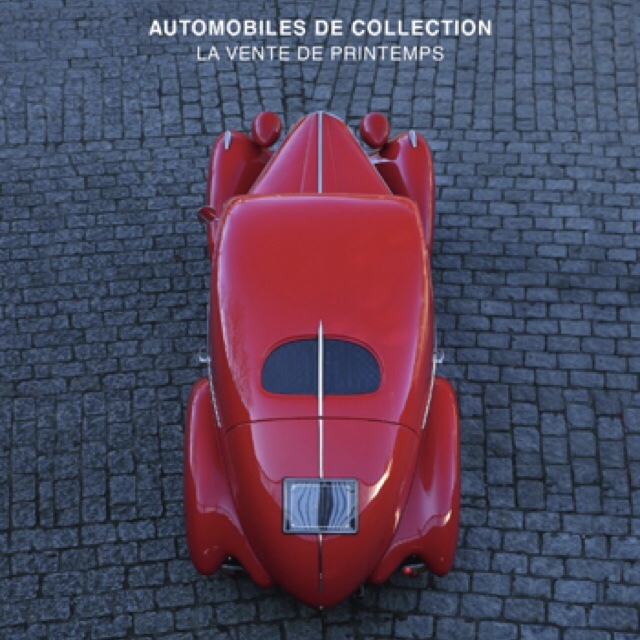 This entry was posted in Uncategorized and tagged 360, 360 Magazine, Alberto Ascari, Aurelia, auto, automaker, car, culinary, designer, Instyle Magazine, Juan Manuel Fangio, Lancias, Laura Brown, Madison Smushkevch, Motorsport, Piero Taruffi, racing, shoes, Tamara Mellon, the quail, Tipo 51, v6 engine, Vaughn Lowery, vehicle, Vincenzo Lancia on August 3, 2018 by wp360mag. July 24, 2018 – Pirelli has joined forces with IXOOST, an Italian firm from Modena that specializes in high-end car audio, to create a new sound experience inspired by motorsport. 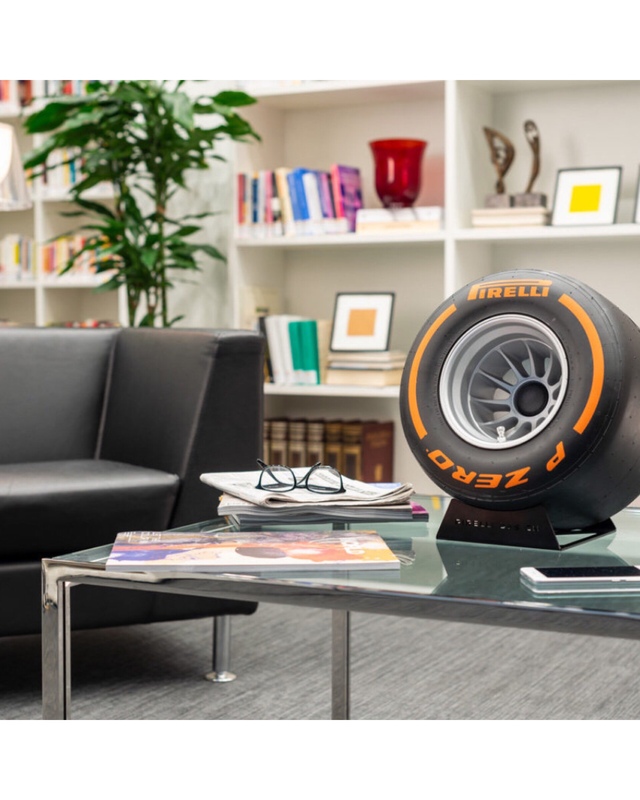 The result is an exclusive hi-fi system that includes a cutting-edge Bluetooth™ speaker within a replica Wind Tunnel Tire: made by Pirelli for Formula 1™ Teams to conduct aerodynamic testing. The wind tunnel is a vital tool for Formula 1™ Teams to study every aspect of air flow, in their unending search for optimal performance – where the tires play a vital role as well. 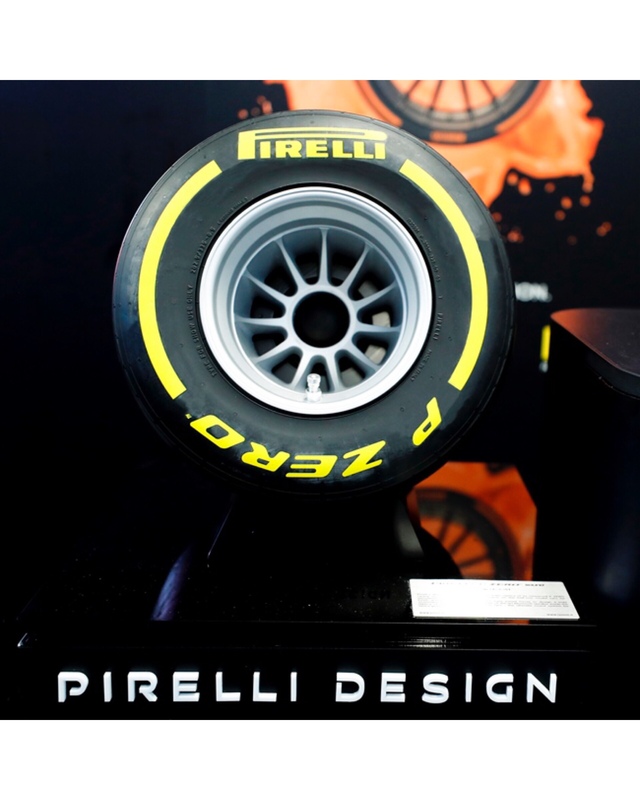 And from the scale-model F1™ Wind Tunnel tire, PIRELLI P ZERO™ sound by IXOOST was born. This is a mini tire that sets new standards of design and technology, traveling its own road when it comes to music. The acoustic system includes a powerful amplifier with a 100-watt digital signal processor and is equipped with a 100-millimeter midwoofer as well as a 25-millimeter silk tweeter. The whole system is made entirely in Italy by IXOOST, featuring hand-crafted unique touches and attention to detail. With the most advanced 4.0 Bluetooth™ APTX technology, PIRELLI P ZERO™ sound can connect wirelessly to smartphones and other compatible devices, enhancing the audio signal in wireless mode and ensuring the best possible playback. PIRELLI P ZERO™ Sound is available in nine different colors that reflect those used to distinguish the different racing compounds. Thanks to its appealing shape and extremely compact dimensions (330 millimeters diameter and maximum depth of 200 millimeters), this inspiring design piece will fit in anywhere, lending a unique and original touch to its surroundings. The new speaker was previewed at the FORMULA 1 PIRELLI GRAND PRIX DE FRANCE 2018. 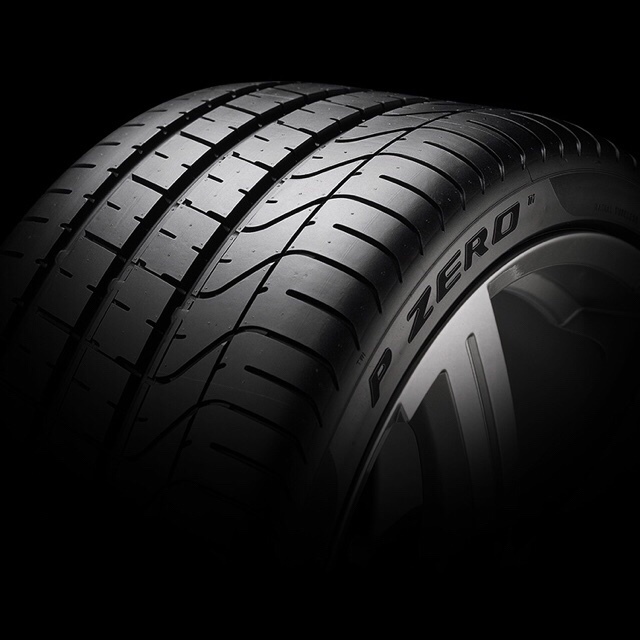 PIRELLI P ZERO™ sound will be seen in the F1 Pirelli Hot Laps garage during other Grand Prixs this year. This entry was posted in Uncategorized and tagged 360 Magazine, aerodynamic, audio, automobile, automotive, bass, Bluetooth, car, cars, cutting edge, Dylan Worcel, experience, formula 1, Global Society, hi-do, high-end car audio, italian, IXOOST, Modena, Motorsport, optimal, pirelli, sound, speaker, Vaughn Lowery, wind tunnel, Wind Tunnel Tire on July 24, 2018 by wp360mag. To celebrate the recent closing of the acquisition of GE Industrial Solutions, ABB CEO Ulrich Spiesshofer rings the closing bell at the New York Stock Exchange on Friday, July 13, 2018, along with Greg Scheu (far left), President of ABB’s Americas Region; Tarak Mehta (sixth from right), President of ABB’s Electrification Products (EP) division, Stephanie Mains, Managing Director Electrification Products Industrial Solutions (sixth from left) and other members of the ABB team. ABB’s completion of the acquisition of GE Industrial Solutions (GEIS) on June 30, 2018, strengthens the pioneering technology leader’s global #2 position in electrification and expands ABB’s access to the North American market. The $2.6 billion acquisition brings the total value of ABB’s investments in the United States to $14 billion since 2010, and complements the company’s leadership in fast-charging solutions for e-mobility. 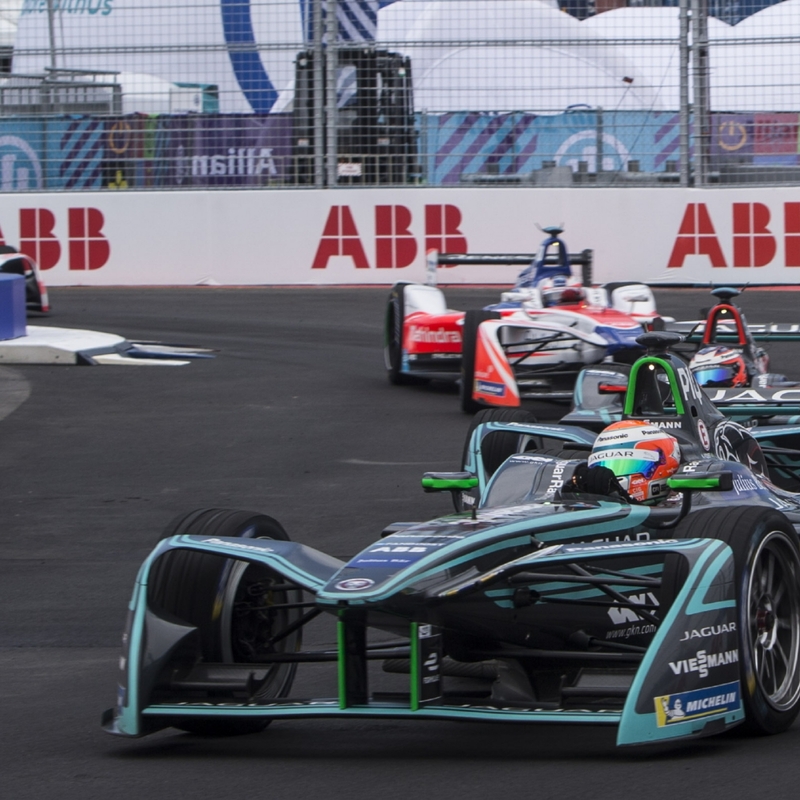 ABB is the title sponsor of the ABB FIA Formula E Championship, the world’s first fully electric international FIA motorsport series, which is holding the two final races of the season in New York on July 14 and 15. The Championship serves as a competitive platform to test and develop e-mobility-relevant electrification and digitalization technologies. 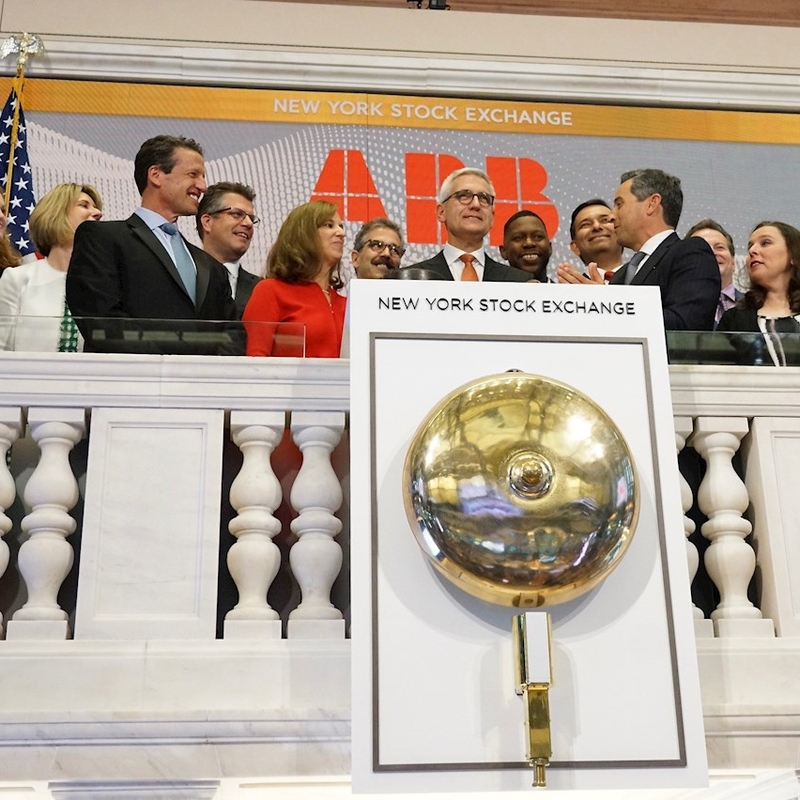 ABB Ltd, the parent company of the ABB Group, is listed on the SIX Swiss Exchange in Zurich, the NASDAQ OMX in Stockholm and the NYSE in New York. 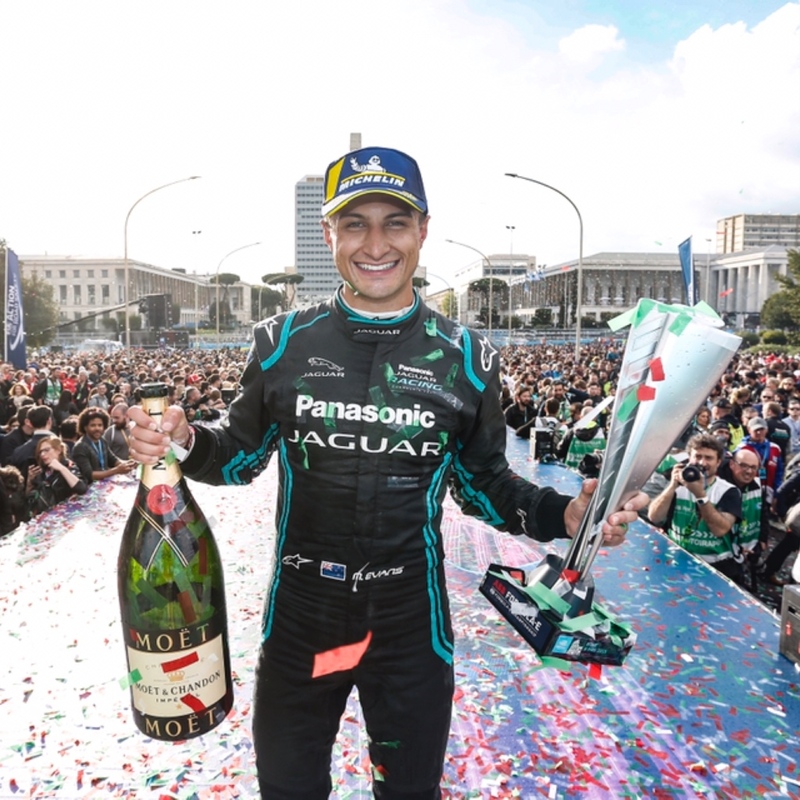 This entry was posted in Uncategorized and tagged 360 Magazine, ABB, ABB FIA Formula E Championship, ABB Ltd, ABBN: SIX Swiss Ex, Atrin Yazdani-Biuki, e-mobility, electric, Electrification Products, EMPLOYEES, FIA, FIA motorsport class, formula e, GE Industrial Solutions, GEIS, infrastructure, Innovation, Motion, Motorsport, NASDAQ OMX, natural resources, New York, nyse, pop culture, robotics, Stockholm, Swiss Exchange, transport, United States, utilities, Vaughn Lowery, Zurich on July 14, 2018 by wp360mag.